Setting the standard in quality for commercial building, custom homes and remodel projects in Hilton Head and the Lowcountry for over 50 years. At Graves Construction Company, we believe we can build your dreams and turn what was once a dream space twenty years ago to the dream space you would like to enjoy today. Our remodel experts take into account the functionality of the space, ways to increase the usage of a space, and the overall flow of the spaces surrounding the area to be remodeled. 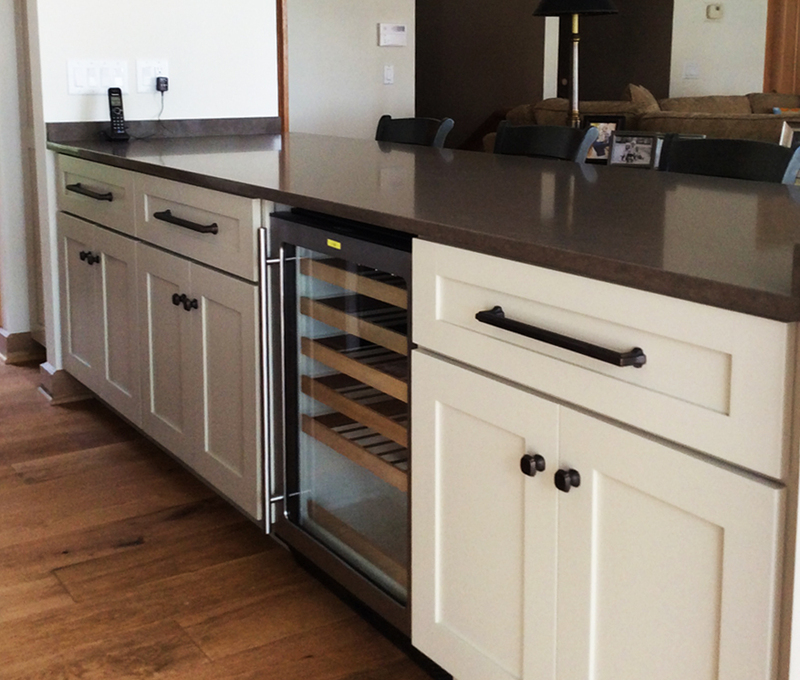 Contact one of our remodel experts today to help you realize your "new" dream space. As a prospective homeowner of Hilton Head or the Lowcountry, one of your first decisions might be where to build. You may choose a lot in one of the major developments, you may select property offered by an independent realtor or private owner, or you may already own your home and simply wanting to update or expand. At each of Hilton Head’s or Mainland’s development communities, homesites twine in and around golf courses and lagoons and through forests and along the beach. Each community has its own distinctive character and style, but generally speaking, each development offers a mixture of basic lot types including beach front, beach area, interior, fairway and adjacent to an amenity (i.e. a marina or a tennis complex). You may wish to call upon Graves or your local Realtor® for a comprehensive island tour if you are not already familiar with each of Hilton Head or Mainland’s “neighborhoods”. You face two major decisions at this point: you must set a realistic budget, and you must be able to articulate the life style and type of home you desire, realistically within the budget you have set. Invariably when a a prospective homeowner contacts an architect or contractor the first question which is raised is the square-foot-cost of building. But because of wide range in building costs, as much as 15 to 20 percent per square foot, it is most difficult to answer the question directly. First, it is necessary to ask a series of questions which relate to basic design and quality level of numerous items such as hardware, bathroom fixtures and roofing materials. Even then it is risky and not prudent to quote a price per square foot. Many people will hear a price-per-square-foot quoted as the current cost of building on the island, and based on this information, have an architect design a home with a specific number of square feet. But when their home has been designed and cost estimated, the per-square-foot cost may actually be 15 to 20 percent higher per square foot than their expected. And at this point there are only two alternatives: to try to find someone to build it for 15-20 percent less per square foot, or revise the plans. The first option, revising the plans, is almost like starting over. Usually the people building become discouraged and frustrated and if you select the second option -- going with a builder who will take the job at a lower price -- you place yourself in the very risky position of perhaps never seeing your home completed properly. The key: don’t rely on here-say information! To do so is foolish because the cost of building is dependent not on here-say, but on the prevailing costs of material and labor. There are also many things you, the prospective homeowner, can do to keep costs down. Simple lines and utilization of middle-of-the-line products in such things as fixtures, appliances and floor covering can considerably help in reducing costs. 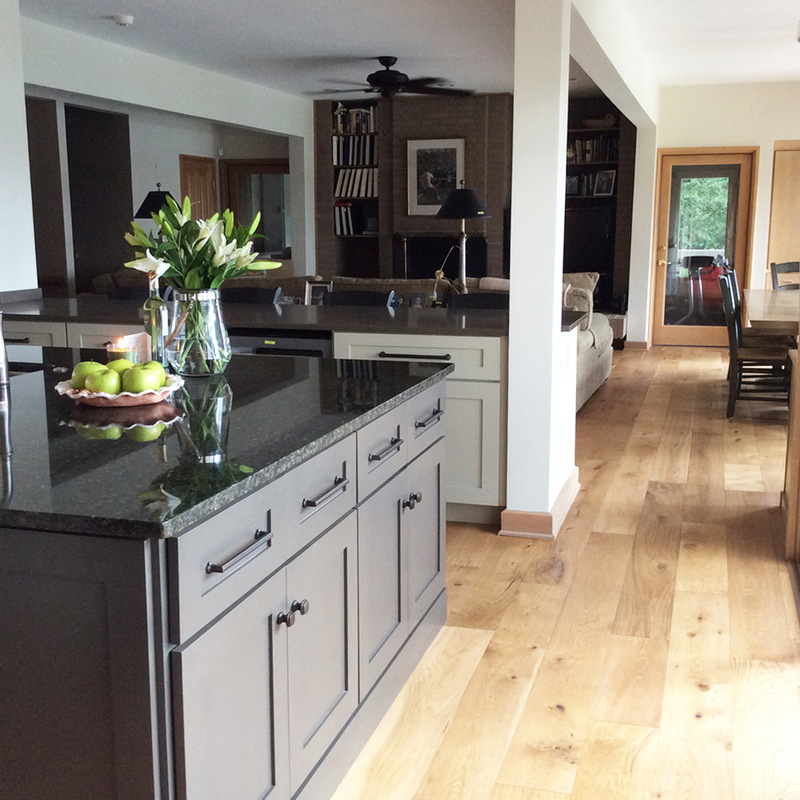 Simple free flowing lines can still produce a home with great beauty and appeal. The traffic flow in a well-designed home can be achieved with a minimum of hallways, which are just unused living space. And, if you are planning a retirement home, remember that your lifestyle will be completely different than in the earlier stages of your life. Many people would also rather have a smaller home to reduce upkeep and maintenance. The careful study of floor plans prior to construction is also vital. A change made on paper can be simple and inexpensive. A change made during construction can be costly and result in delays. In summation, what you pay for a home on Hilton Head or the Lowcountry today will indeed be more than you would have paid for a few years ago, but it can be expected to be significantly less than what your home will be worth in the future. What today’s higher building costs do mean is that we must become more prudent, but you can still afford your “dream home’ without any great sacrifice. + Should you Retain an Architect? Very early on in planning/remodeling your home you will need to decide if you should retain an architect. For several reasons, which we will outline here, Graves Construction Company generally recommends that you utilize at least some of the services of an architect. Too often we meet the prospective homeowner who assumes that if he has a set of floor plans, all he needs is a contractor or a a good carpenter, but quality and specifications are usually not met, and in the long run this procedure could prove to be more costly. It must be remembered that your home must be properly located on your lot and that the overall design must be acceptable to your review board. Someone must perform these functions --either the contractor or architect. The cost will be included in the cost of your home. Many people buy their lot before they have really thought much about their house plans. And this can cause minor problems, or even major problems, if that home you have dreamed about “just won’t work” on the lot you have purchased. As noted earlier, every development on the island has its own set of regulations and restrictions, and it is necessary to fully understand these before planning your home, as they will affect its design. Your architect can make sure that such restrictions as the set backs required from property lines, and the restrictions on the minimum size home which can be built on a particular lot, are taken into consideration as your home begins to take shape on paper. 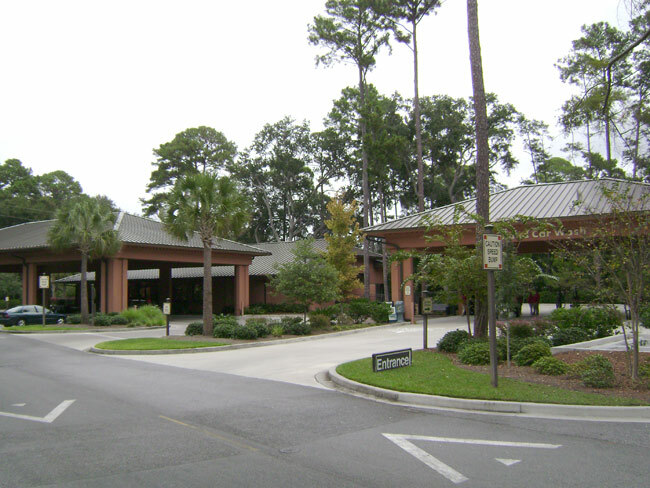 Conservation of nature’s bounty and the natural features of this lovely area have been prime objectives in the design and development of all of the residential communities on Hilton Head Island and beyond. And while each plantation, resort or community has its own particular “style”, the entire island and other gated-communities on the mainland share a fundamental characteristic; architecture which leans heavily towards a look that has become known as distinctively “Hilton Head”. That “look” will vary according to site, surroundings and budget, but you will notice throughout the island a trend towards design which afford the homeowner, maximum privacy. Construction utilized materials which blend harmoniously with the subtropical color and atmosphere of the island. For example, after exterior walls of rough-sawn cypress, or tabby stucco, have had time weather, as home will appear not have been built so much “on” the land, as to have grown out of it. This cohesiveness of design is not accident. It is the result of very stringent codes and covenants administered by each of the developers and, while these restrictions vary in detail from development to development, an overall system is recognized which is intended to enhance land values and insure taste and quality. Each resort development or plantation has its own plans approval board which will pass on your building plans before any construction can begin, and you should have a fundamental understanding of the applicable building restrictions before you begin final selection of lot or any expansion. For example, ocean-front lots require different building specifications from interior lots. An ocean-front home requires concrete block construction for exterior walls (probably covered with wood or tabby stucco), while interior lot homes may utilize wood framing without the concrete block. Ocean-front homes are also restricted by more stringent soil specifications, particularly those relating to the load-bearing ability of the site. Enclosed space, not including screened porches and garages, must total a minimum square footage. All lots in residential areas must be used only for residential purposes. Each house must have a screened service areas in which air conditioning equipment, garbage cans and lawn equipment and the like can be stored, and off-street parking must be provided. You must submit a site plan showing location of structures, walkways, driveways, water and sanitary sewer lines and accurate location of all trees larger than six inches in diameter. A topographic survey of finished grading must be noted on the site plan, and if your lot requires a septic tank and drain field, you must submit the results of a percolation test, which determines how rapidly water will drain away through the soil on your lot, and a copy of Health Department approval of your sewerage system. You must submit architectural working drawings and specifications for your proposed home, and these must include a dimensioned site plan, floor plan and all elevations to scale. Your construction application will also pose a number of other questions, including whether another home has already been built to your plans in the same plantation, the finished floor elevation above sea level, septic tank discharge level, and a complete description of all materials and colors planned for exterior siding, roofing, trim, shutters, doors and windows. An architect can be helpful in assisting you through this “paper procedure”, which must come before you can receive an official Town of Hilton Head Building permit. All of the professional architects on Hilton Head are knowledgeable about these requirements, and they can make your trip through the paper trail much less tedious. Of course, some people get the impression that these controls hamper building and freedom of design. However, this is not the intention or result of these restrictions. Once your home has been completed, and you have embraced the wonderful Hilton Head Island/Lowcountry lifestyle, we expect that you will agree that the controls are necessary to provide orderly growth while protecting the island’s environmental integrity. After you have completed your plans, the next important decision is the selection of a contractor. There are a number of highly reliable builders on the island, and we at Graves have a high regard for our competition. But, in any area of the country whenever there is a great increase in construction and development, there will be an influx of new contractors and subcontractors. Some will be qualified. Some won’t. The fact that a contractor has been in business in a particular area for a long time is in itself a good recommendation. If a builder is relatively new to the area, it is wise to verify his ability and stability. In competitive bidding it has been our experience that the range of prices from reliable builders is usually very narrow. If the range between the average to the lowest bid is extremely great, you should consider this a warning. Since the cost of material is such a large part of each bid, it is almost impossible to have such a wide spread if all contractors are using materials called for in the specifications. If you are planning to carry a mortgage on your new home, there are a number of important transactions you must complete. First, the lending institution carrying the mortgage on your home will require a deed for your property free of any encumbrances. The lending institution will also require a set of plans and specifications for your home along with a copy of the builder’s contract showing price and time schedule. The lending institution will then appraise the land and building plans to determine the amount of the mortgage. The interest rates will be based on the money market at the time of your loan. Your loan will be made in two stages. First, a construction loan (usually 12 months) is issued. Later at the time of completion, your loan will be converted to a permanent mortgage (usually for 30 years). During the construction period the bank will make progress payments for the work performed, and you will be billed for the interest. This is usually a monthly transaction. During the construction period you will be required to carry Builders Risk Insurance which will protect you against any damages during construction. Upon completion of your home the lending institution will require adequate insurance to cover the amount of its loan. All of these transactions also require legal and closing gees; these usually come to about 2 percent of the financial amount. The building time for your home, often a major consideration, is, like the cost of building, controlled by a number of variables. Graves building schedules depend not only on our work load but the work load of many subcontractors. The total amount of current construction in the area also has a direct effect on our schedules. The lead time needed to buy some materials and products also affects the building schedule. To save time, even before signing his construction contact, the owner can make color selections and other decisions. Weather is also a factor in building schedules. Normally an allowance of rainy days is made in the building schedule, but even at Hilton Head an unusual period of bad weather may cause some delay. Fortunately, the climate and weather conditions generally permit year-round building. Hilton Head Island homes are noted for their distinctive appearance and the manner in which they are located to take advantage of scenic views. For example, the use of cypress for exterior siding allows the home to blend into the natural surrounding of the island. 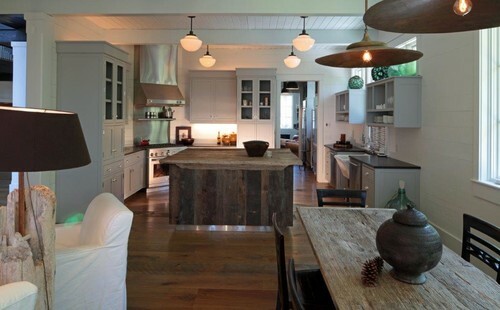 Cypress is a wood that beautifies with weathering and has capabilities for long life. The use of tabby stucco is also gaining wide acceptance. It will withstand subtropical weather, and since it can be colored and textured it is also an ideal exterior material. Many homes feature large amounts of glass to make them light and airy, and to bring some of the natural outside beauty into the home. 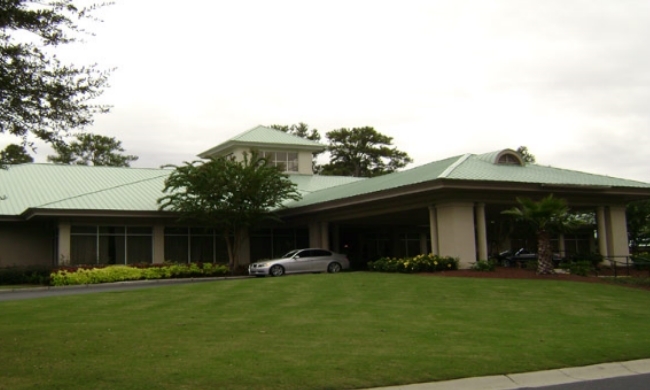 Driveways at Hilton Head are made of several materials including concrete, bleached oyster shell and crushed stone. This decision is usually left to your individual choice. However, it should be pointed out that in heavily wooded areas much debris such as pine straw and cones and leaves sometimes present a cleaning problem on driveways other than concrete. Also in wet weather there is a tendency to track soil and leaves into the house unless the driveway has a hard surface. The growing season on the island is some 300 days a year, and our soil and climate is ideal for many varieties of shrubs and flowers, provided they have adequate water and fertilizer. However, we note that while Hilton Head abounds in a truly astonishing array of beautiful vegetation, some of the plants your might be familiar with in northern climates won’t grow here. You might enjoy checking with one of the island garden clubs, or one of our reliable nursery services to learn more about the plants you will want in and around your home. Also remember that our sand soil does not retain water long, and many people have installed underground sprinkler systems. There are a number of reliable companies which will design and install these systems. Do set a realistic budget, and be realistic with your builder. Don’t forget you will need a tree survey and topographical map showing elevations of your lot. Do consider retaining at least some of the services of an architect. Do remember that your home should be sited to preserve as many trees over six inches in diameter as possible. Don’t forget about Plans Approval Board restrictions which stipulate how far your home must be from all property lines, as well as the minimum total square footage required for your particular lot. Do find out, early in the design stage of your home, if a sewerage system will be available or whether your site will require a septic tank system. Don’t forget that if you are building a patio home, these have different design/expansion requirements from a regular home. Do have your lot treated against termites by a bonded service before any construction is started. Also consider the recommended annual termite inspection. Do remember that your contractor will supply necessary fill dirt to bring your homesite to proper elevation, but additional soil desired for landscaping purposes should be considered as part of the landscaping costs. Do remember that if fill dirt raises the elevation around the trees, they must be boxed. Don’t forget that if you intend to have an underground sprinkler system for watering lawns and flower beds, if is easier and more economical to have at least preliminary excavation and installation done early in the construction of your home. Do consider retaining a tree service to clear dead limbs and moss from trees not to be removed from your property. The folks at Graves Construction Company recognize that if you select us as your contractor, you are trusting us to build you a quality home at a competitive price; a home that you can truly cherish for its design and construction integrity. By retaining us as your builder, you are helping Graves build its own already proven reputation as the contractor on Hilton Head known for quality and reliability. Those two words are not used carelessly at Graves Construction Company, a fact testified to by our track record in several local magazines throughout the years. This independent recognition of Graves quality and reliability is far more meaningful than any sales pitch we could make. It also reinforces our ultimate goal at Graves: to have a company large enough to accommodate and small enough to appreciate you, the prospective homeowner.